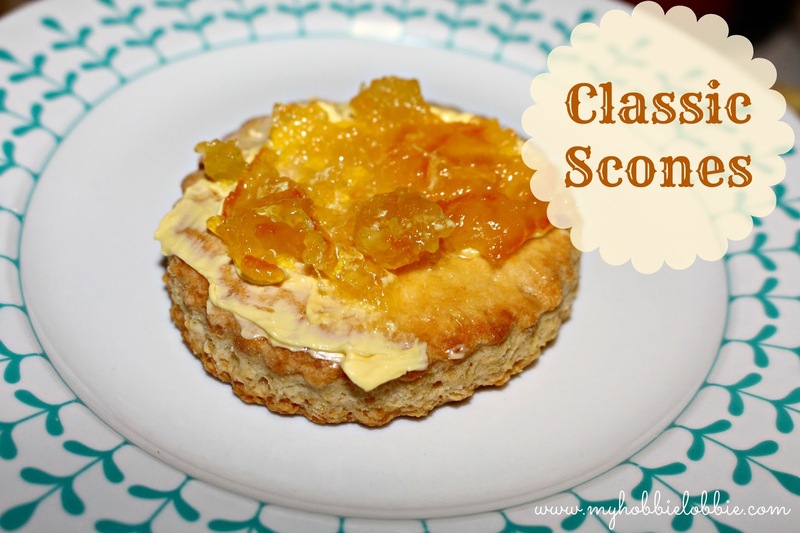 So last weekend I decided I was going to try my hand at making some classic scones. I've always enjoyed the idea of a good scone with clotted cream and jam. I was a little apprehensive while making them, because I heard if you don't do them right, you are left with rocks. While I have made scones before, remember these Chocolate Chip Banana Bread Scones (they were fantastic) and these Chocolate Chip Scones (which were also good), I had never tried a good old classic vanilla scone recipe. Turns out this time around, I didn't get them 100% correct. They didn't rise as much as they should have, but they were so tasty. We had the first couple with butter and orange marmalade, since I don't have access to clotted cream until I make my own. They were nice. The next day, my husband nibbled on one of the scones since he was a little peckish and discovered these made really good biscuits. Obviously I had to try one out. They were so good with a cup of hot tea; only slightly sweet, crusty on the outside but slightly crumbly at the same time. I think I know what I did wrong with this recipe. I replaced the self raising flour with all purpose flour and baking powder, but I don't think I added enough baking powder. Also the milk I added to the bowl wasn't as warm as it should have been. These are both minor issues that I can easily sort out in my next attempt and since I was left with just a tasty scone fail, I'm not giving up on this recipe just yet. I will try it out again. In a large bowl, rub the butter into the flour till it has just combined. Don't overwork it (or the scones go hard). Slightly warm the milk. It should be warm but not hot. Add vanilla and lemon juice to the milk. Make a well in the middle of the flour and add the milk mixture. Stir in till just combined. Roll into about 5cm thickness on a floured surface and using a 3" scone cutter (dusted in flour to prevent sticking), cut out. I got 9 scones. 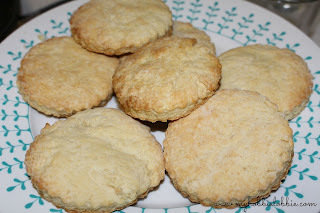 If you are going to re-roll the scrap dough and cut it out again, don't overmix the dough, it will result in hard scones. You will get about 9 scones from this recipe. Cook for 12 minutes or until golden. When slightly cooled, serve with cream and jam or butter. Note: The original recipe doesn't specify an baking temperature so I just preheated the oven to 180ºC and baked them but the baking time was almost 20 minutes. I will do a little more research on this before attempting it again. 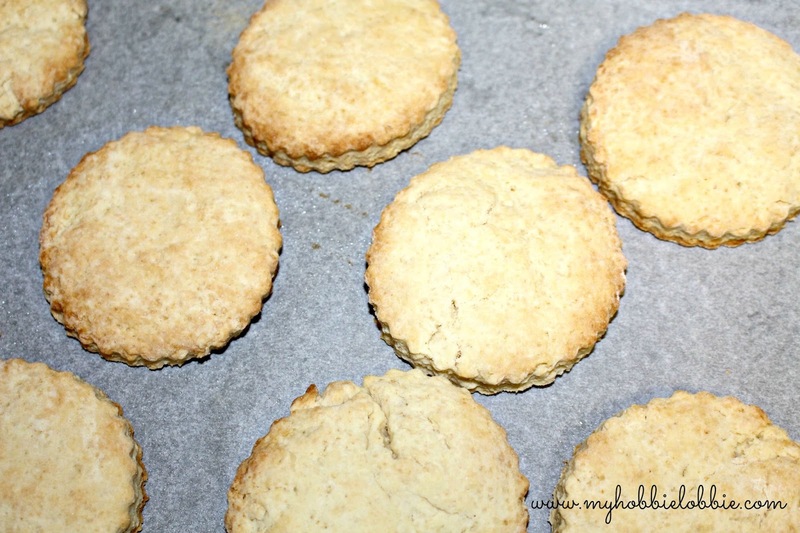 If you have successfully baked scones before, I would love to try your recipe out sometime. Leave me a link in the comment section. Here's what they look like just out of the oven.